yesterday we had our second Passport to Fun adventure! this time we went to Tokyo, Japan! originally we were supposed to have this adventure on the 15th, but our whole 30 got pushed back & so did our travels to Japan. because you just can't go to Japan & not have some rice! it came together quite nicely for being thrown together the day before. because i've been working so much, i didn't have a whole lot of time to plan. i have a feeling all of these dates are going to be pretty low key, but i prefer it that way & they have been so much fun so far! 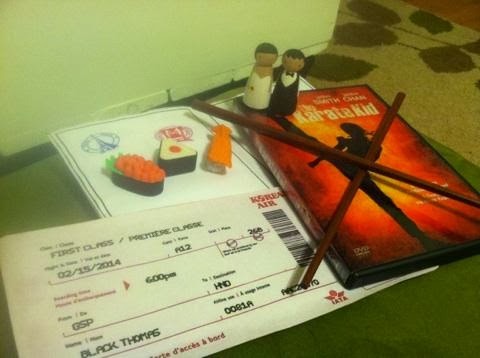 i borrowed The Karate Kid (the remake) from a lady i work with so we watched that! 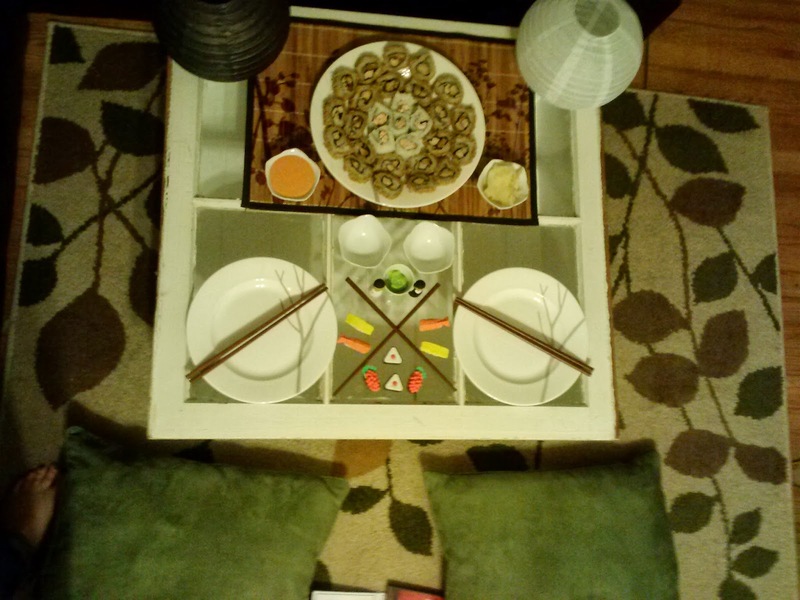 we ate sushi on our window coffee table & sat on pillows on the floor! sometimes it is just fun to eat on the floor! 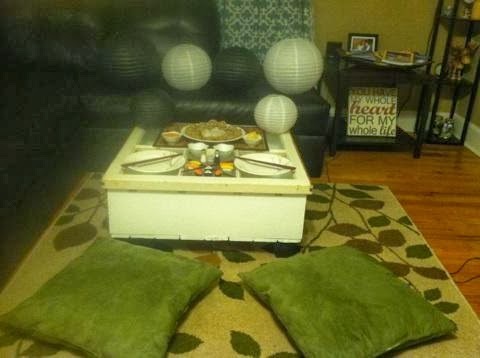 i decorated with some paper lanterns, but i didn't have anything to hang them with so i just kinda set them around. it was a lot of fun to put together & Thomas was excited to get his second stamp in his passport! please excuse my very horrible quality cell phone pictures! Those passport dates are such a good idea. Great job on "going" to Japan! This is seriously the cutest idea ever. Did you guys make your own sushi? I've never done that before--I'm actually not a sushi eater myself, but Angel loves it. So adorable! Such great memories! we have made sushi before, but this time we got some from our favorite sushi place! :) i don't like the raw stuff myself, i just eat the sesame chicken & teriyaki salmon ones! thanks, Chelsea!! it's been a lot of fun & some great memories have been created!! This is so cute! A great tradition! Oh this looks like a fun one! I love that you've been following through with these! I think I'm going to say this every time, but you are SO creative! These will be such great memories. 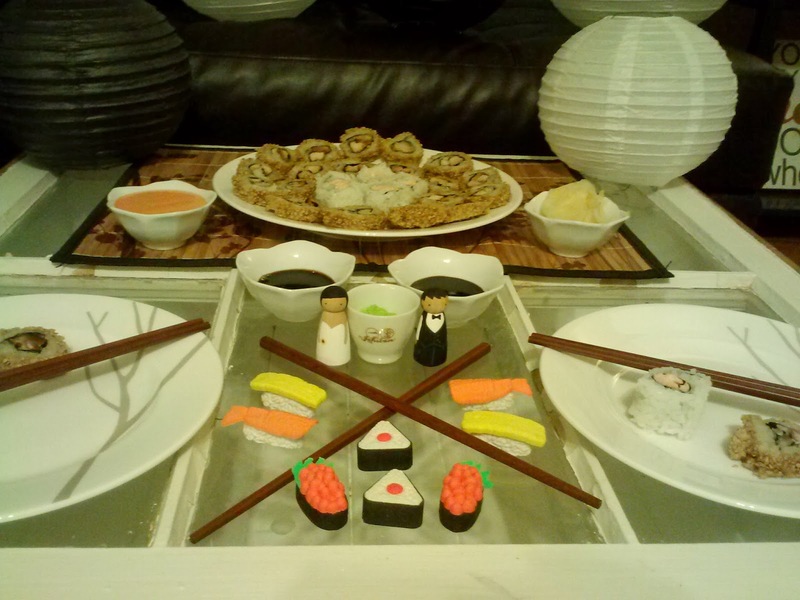 Are those candy sushi on the table?? thank you friend!!! i am loving it so far!! thank you, friend!!! i love themes! :) & it has been so much fun so far! This is such a fun idea! My guy and I are always chatting about how we'd love to see the world, but we simply don't have the funds. 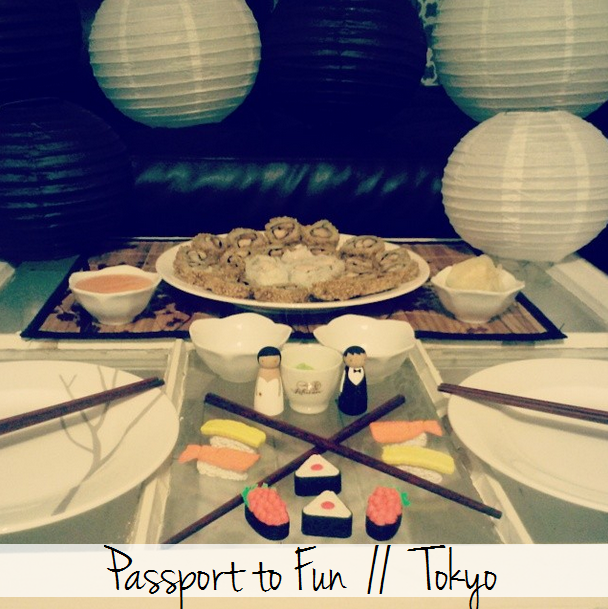 What a fun way to bring the world home and enjoy a date night. I'm definitely going to need to borrow this idea!